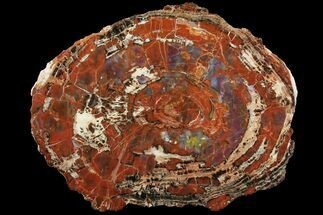 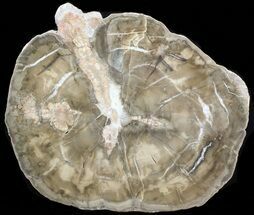 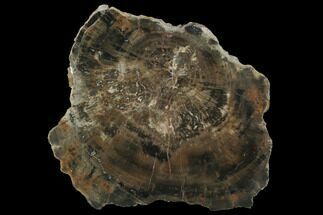 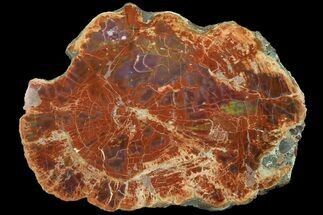 This is a very interesting, 18.6" wide, polished round of petrified wood (Woodworthia) from the Chinle Formation of Arizona. 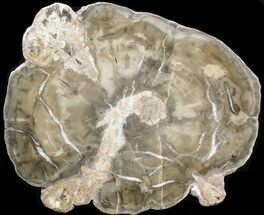 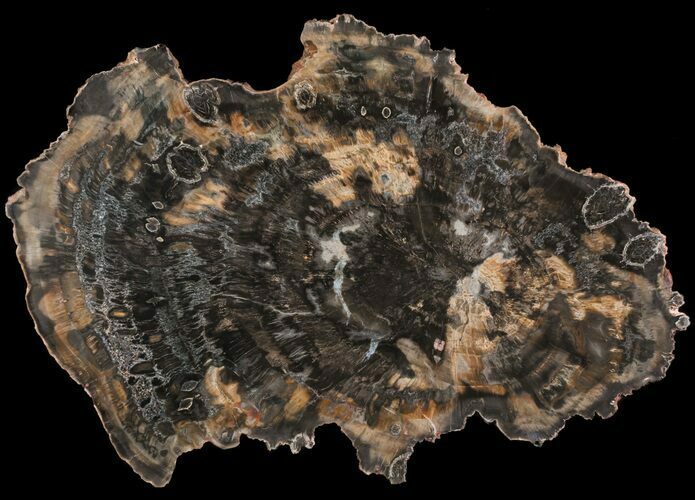 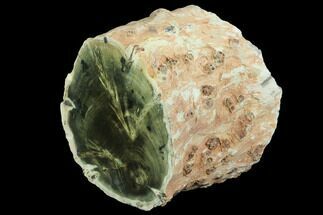 Woodworthia is one of the more uncommon types of petrified wood within the petrified forests of Arizona. 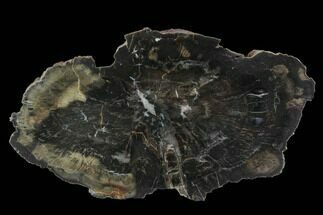 The polishing work on this piece is fabulous and it comes with a display stand. 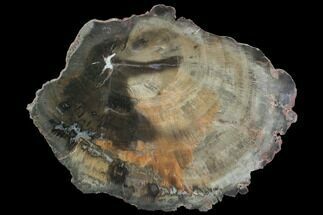 will notice a number of circular areas near the outer edge of the round. 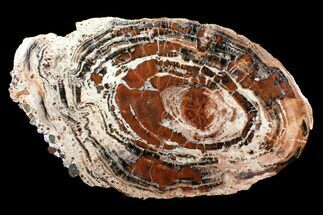 This is where the wood was rotten and the rotten areas were filled in differently when the wood fossilized.